John Cole Vodicka is an advocate for prisoners’ rights in southwest Georgia and the founder of the Prison and Jail Project. During the Vietnam War, John joined the Navy, but his refusal to report for duty on an aircraft carrier led to imprisonment in the Navy brig. During 11 months of confinement, John got a glimpse of what prison was like and experienced the humiliations that come with losing one’s basic freedoms. After his release, John, who grew up in south Louisiana in the 1950’s and received a bachelor’s degree in communications and journalism from the University of New Orleans, worked as a journalist for the New Orleans States-Item newspaper and founded an advocacy organization called the Louisiana Coalition on Jails and Prisons. He spent nine years directing this New Orleans-based organization. 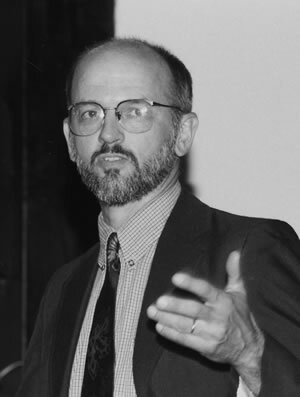 In the 1980’s, John continued his work as a community activist working as a lay chaplain at a 2,300 cell county jail in Oakland, California; serving for four years, as a staff member, along with his wife, Diane, at the Anderson Hospitality House near the Federal Women’s prison in Anderson, West Virginia; and as a member of the Open Door Community in Atlanta, Georgia, where he advocated on behalf of the homeless poor, prisoners, and persons on death row. In 1993, John’s commitment to activism on behalf of prisoners led him to found the Prison and Jail Project as a grass-roots civil rights organization devoted to protecting and working on behalf of prisoners and their families. The Project is based in a small office in Americus, Georgia, that it shares with the local NAACP chapter. The staff consists of John, one other full-time paid employee, and the many volunteers inspired by John’s leadership and courage. With this staff and very little financial support, the Project successfully carries out a large agenda. It monitors courtroom proceedings, visits prisoners, and investigates incidents of jail abuse and mistreatment of prisoners and criminal defendants. The Project publishes a newsletter, provides support and information to families of prisoners, confronts legal and political officials about the inequity of the justice system, and compiles information about various county jails for use in investigations by the Department of Justice. Equally important is the outspoken criticism John and his project participants direct against the racism that pervades the criminal justice practices of the deep South. John dedicates much of his energy to increasing public awareness of the problems that exist in the poorest region of Georgia. Through an annual Freedom Walk, now in its fourth year, John draws attention to the abuses in jails and to the racial composition of these jails (90 – 95% of prisoners are African American or Latino, while these groups comprise less than 50% of the population as a whole). The Freedom Walk stretches for over 60 miles and lasts 5 – 6 days, stopping at county and state jails and highlighting both the historical and current racism of the region. The Freedom Walk provides encouragement and empowerment to those who participate and demonstrates that there is support in the region for positive change. John and his wife, Diane, have three sons. His friends speak fondly of his passionate interest in the history of the African American struggle in southwest Georgia, his sense of humor, and his fondness for jazz music. The Petra Foundation is pleased to honor John Cole Vodicka, a gentle man of great moral conviction and courage, who has a rare ability to inspire courageous acts by others.